50% Colombana – 50% Vermentino. The grapes are hand harvested and the grapes are cooled down with iced CO2, in order to decrease the temperature in a very short time and create a barrier of CO2 to avoid the oxydation. After 24 hours the grapes are pressed and moved to temperature controlled fermentation tanks for approximately 30 days. The wine rests for 6 months in cement tanks before bottling. 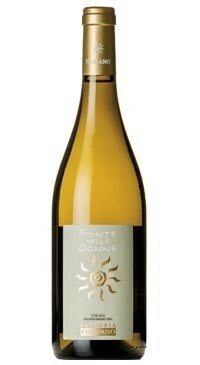 Light yellow colour with notes of fresh citrus and fragrant star anise. The palate is minerally with a crisp persistent taste and a good acidity.